Nancy Anderson, Executive Director of Inclusions East/Kingswood Centre in Montague was at the Rotary meeting on Wednesday, February 11th to pick up a check for $4904.64. Inclusions East was the charity of the week for the # 151, January 19th draw. 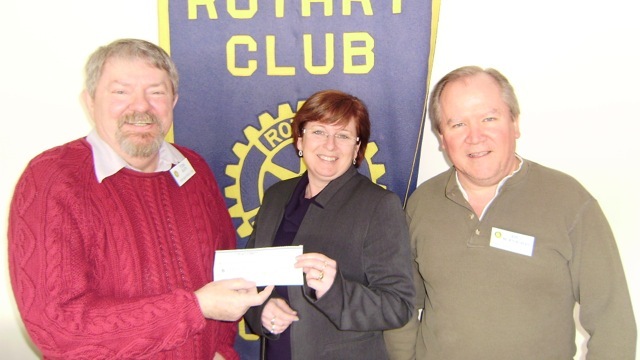 Presenting the check to Ms. Anderson are Montague Rotary Club President Tom Rath and Rotarian Dr. Pius Murnaghan.